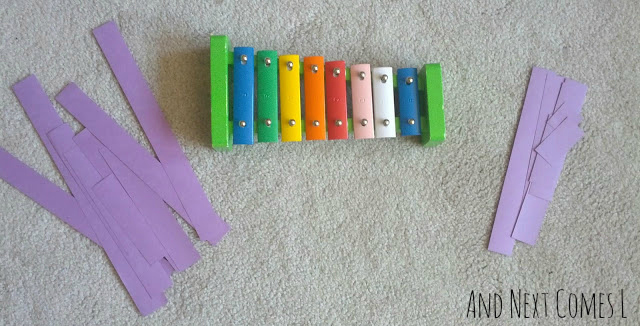 The shape of the xylophone is great for exploring math. 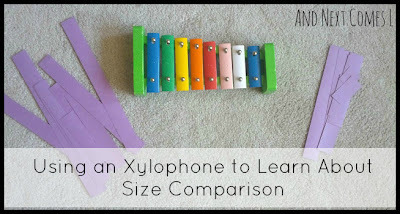 In particular, we used an xylophone to practice comparing sizes by sorting the bars of a paper xylophone from biggest to smallest. 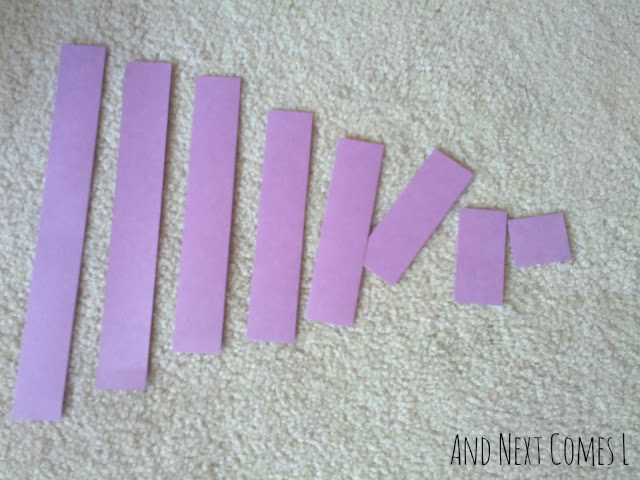 I cut some construction paper into 1" wide strips of various lengths and then left this invitation for the boys to play with. 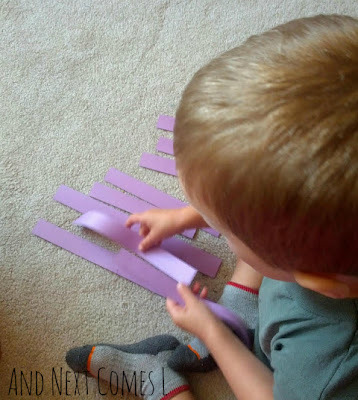 K had no interest in this activity, but J jumped right in and started sorting, using the xylophone as a guide. It didn't take him long to get all the pieces sorted correctly. Once all the pieces are correctly sorted, it's a perfect time to talk about xylophone bar length and its corresponding sound. 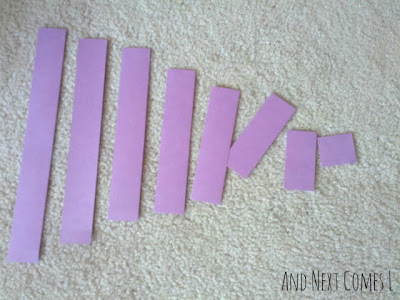 Have your child guess whether the longer bars would make high or low sounds. 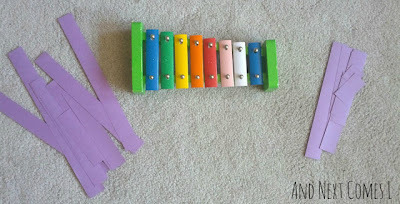 Then have them play some notes on the xylophone to confirm whether or not they made the right hypothesis. J didn't really care to participate along with this part of the activity and instead he found something else to do. 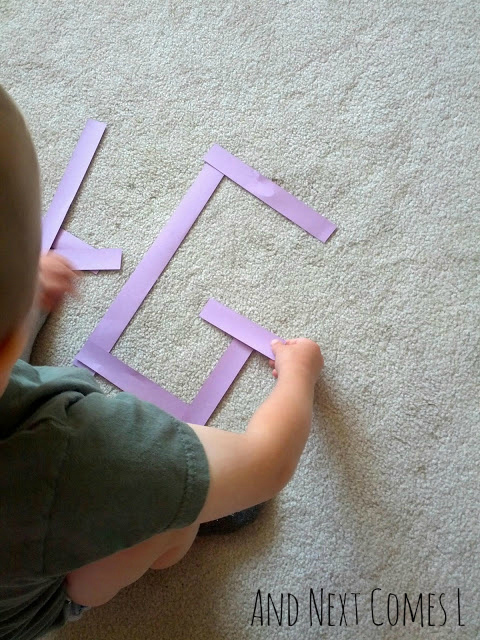 Like J usually does on a regular basis, he started to use the materials to form letters.